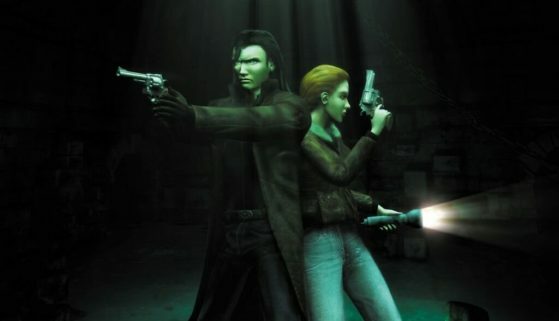 It’s fair to say that Alone in the Dark birthed the survival horror genre, and I feel that it deserves a little more credit after being outshone by later games such as Resident Evil (the first to secure the official title of ‘survival horror’ and a personal favourite) and Silent Hill. 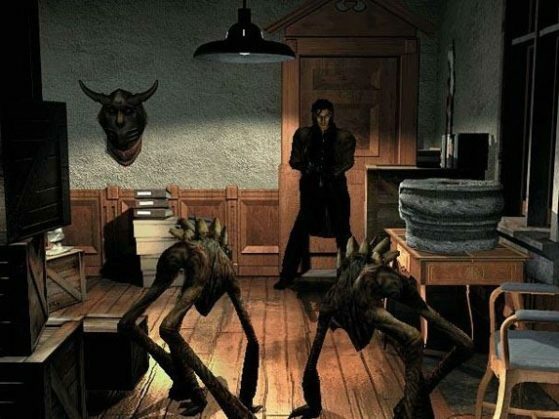 The fourth installment and reboot, Alone in the Dark: The New Nightmare was developed by Darkworks and released in 2001. In NN, investigator Edward Carnby is back and this time he’s joined by university professor, Aline Cedrac. When Edward’s friend is found dead off the coast of the aptly named Shadow Island (*coughs*) the pair team up in the hunt for three ancient tablets that hold the ability to unlock dangerous powers. When their plane crashes, Edward and Aline are separated and the player can choose which character they want to take on, with their stories interweaving as the game unfolds. Now, I’m not surprised that people unfamiliar with the series are quick to dismiss it after the atrocity that was Alone in the Dark, 2008. I made about twenty minutes of progress and it was torture in all the wrong ways; in fact, it was even more disappointing than the movie adaptation. Just looking at the cover irritated me so I traded it in. The atmospheric qualities that made NN so unsettling were nonexistent, and the control set-up made the character (Edward again) even more laughable than the cartoon character that we saw on the screen. The eeriness of NN comes from exactly what it says on the cover: being alone in the dark. Reptilian-looking creatures materialise out of nowhere at any time, as we discover at the beginning of Edward’s journey through the forest leading up to the mansion, which is the game’s main setting. These enemies are vulnerable to light and repel when it hits them, so the use of a torch plays a pivotal role in surviving. It’s just as well, too, for ammo is limited and there’s often no other option than to run away in a disorientated panic – or maybe that was just me. The island itself is believed to contain portals to the World of Darkness (more cliché names) which consists of a cavern system in the centre of the earth. 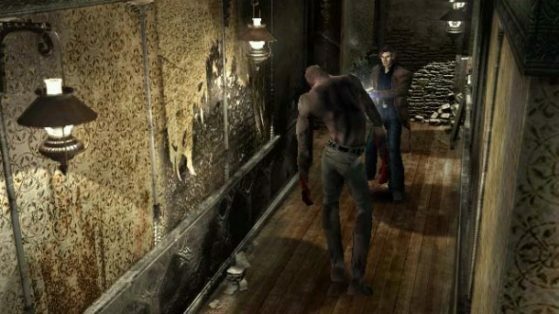 It’s very similar to Obscure (2004) in some respects, although many would argue that NN is a clone of Resident Evil 2. There are also a lot of new features in the reboot that followers of the franchise, originally developed by Infogrames, might not appreciate: melee combat is no longer an option and it’s slightly lacking the H.P. Lovecraft inspiration that we saw in previous games. Although the chilling light/shadow effects have been widely praised by players and critics alike, and in my opinion they really are the making of this game. Plus, it is a reboot – changes happen in movies all the time, usually for the worst. 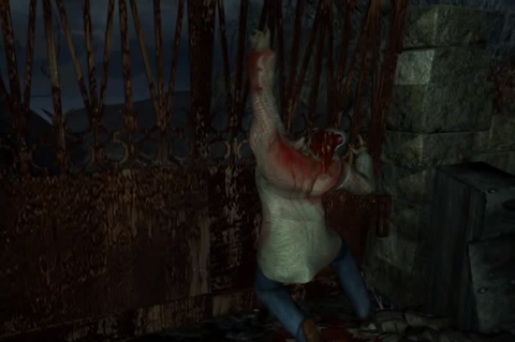 The NN controls can be slow and clunky at times (as opposed to the 2008 game where Edward zooms around as if he’s high on illegal drugs) but I found the same problem with Silent Hill, where striking an enemy seemed to take the effort of a ninety-year-old. These creatures can take a lot of damage; on top of that, they’re fast and teleportation makes them difficult to target. 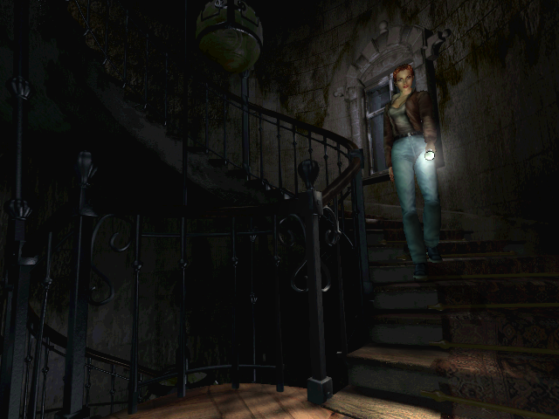 Fixed camera angles became a fad over time, but Alone in the Dark was designed to keep the player on edge with an almost cinematic view of dingy rooms, creaky staircases and confined corridors. The gloomy solitude of the mansion hooks into the imagination and doesn’t let go. There were a lot of complaints about the monotonous dialogue and wooden voices, but I’m not sure why anyone would expect Oscar-worthy acting from a video game. There’s no doubt that the Resident Evil franchise left Alone in the Dark behind in a cloud of dust, and it remains a popular hit over twenty years later (despite slipping into the categories of action/sci-fi). The New Nightmare is by no means a perfect game but atmosphere is the key to its success, and the small doses of gore are enough to satisfy any cravings. The foreboding that it conjures up in the gut earns it a generous 8/10 from me. So, while NN is a little dated, this creepy classic deserves a whirl in the old console and I might finally brave a stab at that second disc.